"From London.... Alice Roberts is having a rubbish summer. She's terrified of her boss, her career is stalling, and she's just been dumped - by text message. But things are about to change... ...to Italy When her boss Olivia is taken ill, Alice is sent on the work trip of a lifetime: to a villa in Sicily, to edit the autobiography of Hollywood bad boy Luther Carson. But it's not all yachts, nightclubs and Camparis. Luther's arrogant agent Sam wants him to ditch the book. Luther himself is gorgeous, charming and impossible to read. There only seems to be one way to get his attention, and it definitely involves mixing business with pleasure. 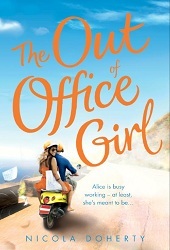 Alice is out of the office, and into deep trouble... ...with love"
The Out of Office Girl is one debut I have really been looking forward to all year! It's Irish author Doherty's first novel, and sounded like the perfect summer read. When I first saw the cover as well, I thought it seemed exactly right for the book, lots of bright colour and made the book look fun too, so I eagerly got stuck in. I actually read this book a couple of weeks ago, but due to a broken laptop, I'm only just getting around to reviewing it, but I still remember it very clearly which goes to show what a fun and good read it was overall! 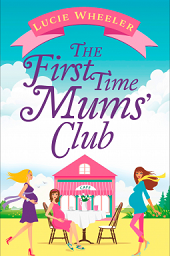 If you're looking for a fun and light-hearted holiday read for the summer (if we ever get one! ), then look no further than buying a copy of this! Alice isn't really enjoying her summer. Her career seems to be going nowhere, and to top it all off, her so-called boyfriend has decided to end things by text message, and Alice has had enough. 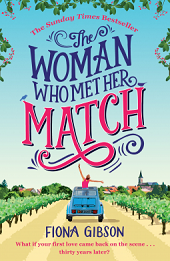 Just as she thinks she doesn't know where else to turn, her boss Olivia sends her on an amazing trip of a lifetime to Italy to hurry up Hollywood actor Lucas Carson with his autobiography which currently seems to be going nowhere. When she arrives though, things don't seem to be as easy as she thought it would be. Lucas' agent Sam does not want him to write the book, and tries to make it difficult for Alice to get alone time with Lucas. So when Lucas offers her the chance to go partying with him to get to know him better, Alice has no choice but to take it. Is Alice actually going to get Lucas' book finished, or does she have other plans for while she's out of office?! I have to say I loved that this book was written in the first person from Alice's perspective. It really allows us to get into the mindset of Alice, and allows the reader to really follow her story closely, and understand why she does the things she does in the book! Alice is a really likeable character, a normal girl who feels like her life is going wrong. When she's dumped by her boyfriend, it's the last straw and she decides she has to change things. I loved that she jumped at the opportunity to work with Lucas, and reacted how any of us would do to news we'd be working with a Hollywood superstar! She doesn't try to play it too cool, she's excited and normal about it which was great! I liked her all the way through the book, even when her actions seemed a bit questionable, but you know she's got a good heart! She's quite confused throughout the book too, and I had my own hopes for who she would end up with, and Doherty kept sending down several different paths before finally coming to a conclusion, and I loved that the book had a definite ending, I hate it when they are left up in the air! Doherty writes the other characters in the book really well too, and I enjoyed getting to know them through the duration of the book. My other favourite character was definitely Lucas, the Hollywood actor who is trying to write his autobiography. At first, Lucas seems reluctant and I disliked him for making Alice's job harder, but as things are revealed in the book, I felt a bit more sympathetic towards him. Doherty has made him a bit more human but there's still that celebrity side to him which creeps in all of the time! Sam is his American agent, and a tough character to like. He's a bit rude and brash, but you can see he's only got his clients best interests at heart. Finally, there's precocious young actress Annabel, utterly loath-able but hilarious to read about - you just know there are hundreds of actresses out there behaving like Annabel does every single day! This is the third book this year I have read that is set in Italy, but I didn't mind too much as it seems such a fun place to read about! It's actually set in Sicily, and Doherty writes the setting beautifully. You can fully imagine the beautiful Villa, gorgeous towns and picturesque views that Alice describes throughout the book, the clear waters and everything just sounds perfect, and it's a joy to read about, especially when we're here in the rain of a British summer! Doherty doesn't shy away from making it sound gorgeous, and accentuates this nicely with lovely descriptions of Alice's clothes, the parties they get up to and weaves this aspect of their lifestyle in with Lucas' past, and the dilemmas that Alice faces as the book progresses. It was a hugely enjoyable read from start to finish, and I felt that it went far too quickly for me. I really loved Doherty's writing style, and found it so easy to read. It's a fantastic summer read, and you'll find yourself transported to Italy with Alice, Lucas and co, and having fun along with them! You can buy The Out of Office Girl as a paperback or an eBook now! 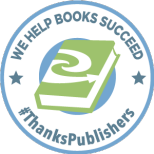 You always write great book reviews! I saw yesterday that you said you'd be posting this review today and couldn't wait to read it! I have such a long list of books to read, but I am most definitely downloading this one today! I just love a good summer read set in Italy!